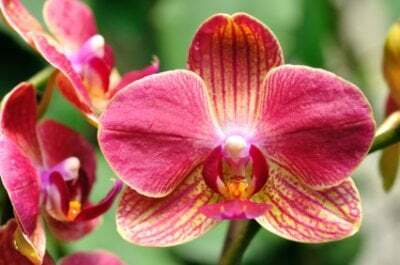 Moth Orchid (Phalaenopsis) comes in many colors that are bound to brighten any dreary winter day. They grow in solids, stripes and spotted patterns. The colors are that of many pinks, white, orange, yellow and even tan. When you see Moth Orchids you automatically know where it got its name from. The flower resembles a moth! The petals are wide and flat and shaped like the wings of a moth. While this flower does mainly grow in the warmer spring months, there are a variety of hybrids that bloom in the winter. They are very easy to grow and care for, and they can live for up to 5 months! Phalaenopsis loves the warmth of the sun, but does not like to be in direct contact with it. Especially during the suns hottest hours. A good option for growing this plant indoors would be to place it under a fluorescent light for up to 16 hours a day. No less than 12 hours a day. If you are growing Phalaenopsis outdoors during spring or summer, then be sure to plant the orchid in a shady spot. 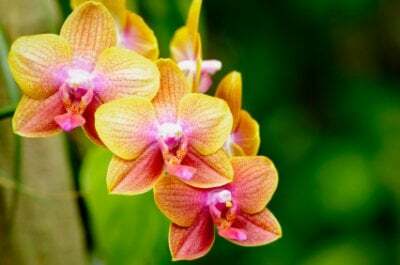 One of the most important things to remember with Moth Orchid care is that they need moisture. Keep the medium evenly moist at all times. If you are not growing the Orchid in a pot, but in a piece of tree fern fiber, then you need to mist the roots frequently. This plant loves to be in temperatures of at least 70 degrees during the daytime, and about 65 degrees at nighttime. While watering this this plant, mix in a half strength fertilizer about every few times you water it. This will keep your plant strong and healthy. While we already know what the blossoms of this plant look like, we need to discuss the stem and leaves. The leaves are about medium sized in length and very broad. They are a bright evergreen color and offset the colors of the blossoms. The moth shaped flowers grow on a very long, very thin stem. The stem can grow to be up to 36 inches long! If you find yourself stuck in a cold winter’s rut, grow the moth orchid and watch your winter blues melt away!